UNC Radiation Oncology supports the World Cancer Day effort, held each year on February 4. World Cancer Day raises awareness and seeks to empower all of us worldwide to show support, raise our voices, take personal action and press our governments to do more to fight cancer. 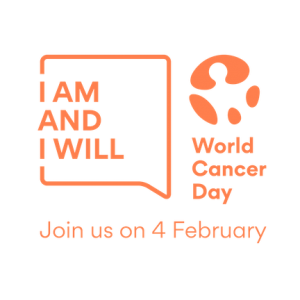 The World Cancer Day website contains cancer-related educational materials, links to other cancer-related websites, suggestions for how to take action against cancer, and also provides a forum to tell our personal cancer stories.